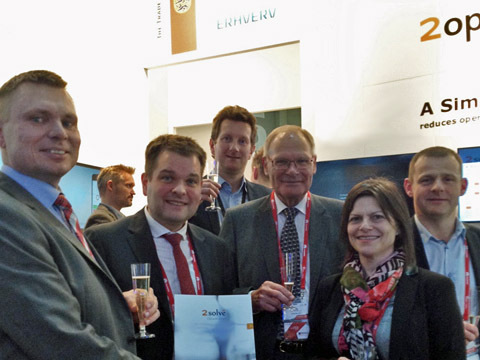 Mobile World Congress, Barcelona, 4 Marts, 2015 – In front of 2operate’s stand at Mobile World Congress in Barcelona, Kristian Davidsen – the CEO of Faroese Tele – signed an order for the new 2solve Customer Information solution to allow for subscribers to assess network status directly at a web page. “In Faroese Tele we have great focus on the customer. This extension to our current 2solve setup will increase the level of information about the network, and the customer will be able to report experience back to us.” said Kristian Davidsen. Faroese Telecom is the incumbent telco of the Faroe Islands, established by an act of the Faroese Parliament in 1906. In 1998, Faroese Telecom was re-organized as a limited liability corporation with the government of the Faroe Islands as the sole shareholder. Following swift liberalization of the market beginning in 1997, privatization initiatives are underway. Faroese Telecom is the leading provider of ICT services covering traditional telecommunications as well as digital terrestrial television in the Faroe Islands. Faroese Telecom is headquartered in Tórshavn, the capital of the Faroe Islands, and has branch offices located throughout the country. The company employs 190+ highly trained staff with international experience.